The lowest car loans are not just a result of a good credit history. Instead, the work you do in sourcing the loan and researching lenders will have a large impact on the ultimate cost of your financing. Those borrowers who shop for a loan before a car and apply patience in the loan origination process will save a lot of money over time. The first stop for anyone looking for a quality loan should be a traditional lender. Today, banks and car dealers both offer very traditional offers for financing. The main advantage of banks is usually the more favorable loan terms. You will find banks have more flexibility if you are late on payments or want to prepay the loan in the future. On the other hand, most car dealers will not be flexible to these needs but may offer lower interest rates. If you want to approach alternative lenders, you should be aware of higher interest rates in most cases. However, these lenders may be a good option if you can opt for a short loan with high monthly payments. In that case, you can look for independent finance companies in your area. Local car lots often have the contact information for these hard to find companies. You can also find a listing of finance companies in your area at your Chamber of Commerce or Better Business Bureau. Again, since these alternative lenders often have high rates, you will only achieve a low cost car loan if you keep the loan very short. You do not have to technically get an "auto loan" in order to pay for a vehicle. 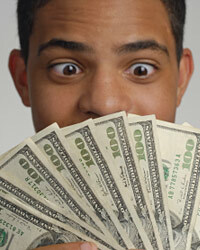 You can locate any type of financing that is in the sum you need. For example, personal loans may be a better option if the expense of your new car is very low. You can simply take out a personal loan from your bank or another lender and never place the car as collateral. While the interest rate may be high, this can be a great option for your credit score. You will see a huge increase once you pay the loan off. Again, this is the best option for a short loan. Because you have considered all of your options, you will have more power at the negotiation table, and you should use it. Allow your lender to know you have other potential sources and a wide range of quotes. This will force the lender to listen to your requests. You should be willing to sacrifice in some ways but stand firm on others. If your goal truly is the lowest interest rate possible, then lock in terms with a traditional lender in order to achieve the least expensive financing you can achieve.